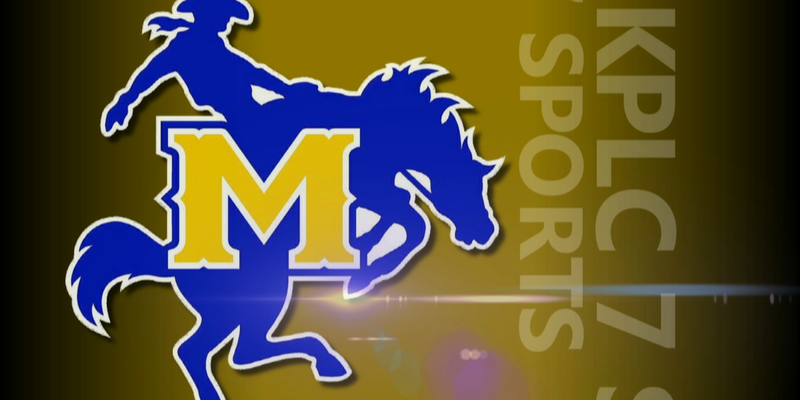 LAKE CHARLES, LA (KPLC) - McNeese will look to turn the tides on its Southland Conference basketball season when it starts the second half of the league slate on Saturday afternoon at home against Northwestern State. McNeese basketball returns to the H&HP Complex this Saturday for the doubleheader beginning at 1 p.m. The Cowboys (7-15) ended the first half of the conference season at 3-6 and are coming off a 77-62 loss at first place Sam Houston State on Wednesday night. McNeese dropped a 66-61 decision to Northwestern State (8-15, 3-7) back on Jan. 5 in Natchitoches. Both teams are fighting to make the 8-team, postseason tournament. Right now, the Cowboys are tied with Lamar and Nicholls in the loss column for that final spot, but are only three games out of third place in the loss column. NSU is tied with Houston Baptist, but like the Cowboys, are well within striking distance of a tournament berth. The Cowboys will likely start the same five from the previous five games – Kevin Hunt, James Harvey, Trey Touchet and Roydell Brown, all at guard, and Sha’Markus Kennedy at the forward spot. Kennedy and NSU center Ishmael Lane should put on a rebounding clinic as Brown leads the league for the entire season with a 9.5 average and Lane right behind at 9.4. While in league games only, Lane is pulling down 12.6 boards per game while Brown is second with a 9.3 average. Brown, who leads the Cowboys in scoring with a 14.2 average on the season and 19.3 points in conference games only, is also the league leader and ranked 16th in the nation with 11 double-doubles on the season while Lane has eight, including six straight games. Like Brown, Lane leads the Demons in scoring with a 13.3 mark but is the only NSU player to average double-digit scoring on the season. Harvey is second on the Cowboys’ team in scoring with a 12.5 average (13.0 in SLC games) while Kennedy is averaging 11.5 ppg, (11.9 in the league). Saturday’s game will be the 126th all-time meeting in the series with McNeese holding a 64-61 advantage. NSU has won six of the last 10 outings including a 66-61 win over the Cowboys back on Jan. 5 in Natchitoches. In that game, McNeese let a 9-point, second-half lead slip away as the Demons capitalized on 10 Cowboy turnovers in the second 20 minutes to secure the win. McNeese (5-15, 3-6 SLC) is coming off a 93-80 home loss to Sam Houston State on Wednesday and will look to avenge an 82-63 road loss at NW State (7-14, 2-8) in the second conference game of the season in Natchitoches on Jan. 5. Callie Maddox and Regan Bolton continue to be the Cowgirl leading scorers with Maddox leading the team with 14.0 ppg. and Bolton averaging 12.4 ppg. Both players are coming off double-digit scoring against SHSU. Bolton, who has scored 20 or more points in four of the last six games is coming off a 22-point game against SHSU. Maddox, Bre’Ashlee Jones both scored 12 points and Damilola Balogun recorded her fourth double-double with 10 points and a career-high 18 rebounds. The Lady Demons come into the contest having lost seven of their last eight games including an 84-73 road loss at UNO Wednesday. RaVon Nero leads the team with 12.4 ppg. and Kira Bonner is averaging 10.0 ppg. Jocelyn Scott leads the Lady Demons in rebounds with 4.6 per game.